With the publication of the final Animal Disease Traceability (ADT) rule in the Federal Register, the National Cattlemen’s Beef Association (NCBA) compliments the U.S. Department of Agriculture (USDA) Animal and Plant Health Inspection Service (APHIS) on creating a final rule that includes many of the comments submitted by NCBA on behalf of cattle producers across the country. Dr. Simmons is our guest on this latest Beef Buzz. Listen to her comments by clicking on the LISTEN BAR below. The final ADT rule establishes general regulations for improving the traceability of U.S. livestock moving interstate. The final rule follows a process in which NCBA and other livestock and agriculture stakeholders participated in a comment phase. Now that it has been published, the rule becomes effective Mar. 11, 2013. To view the entire 145 page rule as written by USDA, click here. Under the rule, unless specifically exempted, livestock moved interstate must be officially identified and accompanied by an interstate certificate of veterinary inspection or other documentation, such as owner-shipper statements or brand certificates. The final rule accepts the use of brands, tattoos and brand registration as official identification when accepted by the shipping and receiving states or tribes. 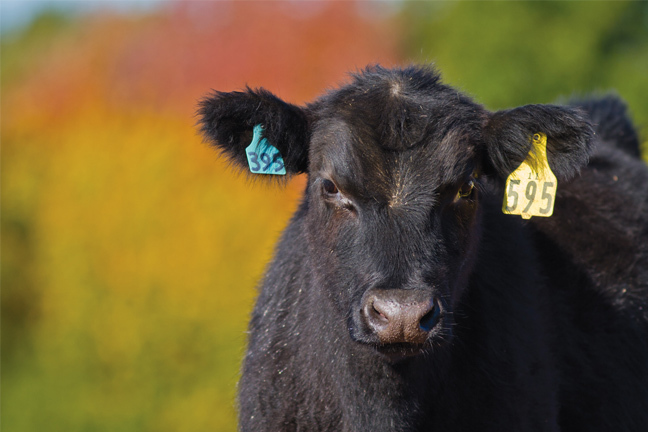 Backtags will be accepted as an alternative to official eartags for cattle and bison moved directly to slaughter. Most important to cattle producers, according to Simmons, is the announcement by USDA APHIS that a separate rulemaking process will take place for beef cattle under 18 months of age. Currently, the final rule allows beef cattle under 18 months of age, unless they are moved interstate for shows, exhibitions, rodeos or recreational events, to be exempted from the official identification requirement.